The Sigma XT extinguishant releasing panel, installed extensively in thousands of premises globally, offers outstanding value and performance for all small to medium fixed firefighting installations. 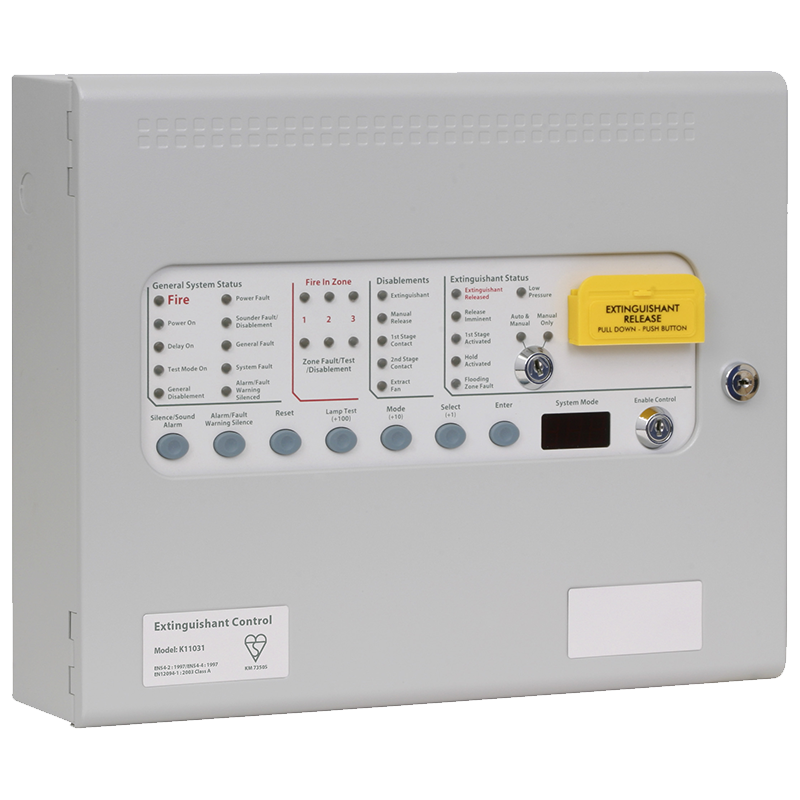 With three detection zones as standard, extinguishant release can be configured to activate from any combination of detection zone inputs. Sigma XT panels are both robust and easy to install having all the electronics mounted on a single, easily removable, steel plate.